We can now offer the Vyrve MIZAR – an extremely versatile compact PA system that is ideal for parties, presentations, performances, smaller concerts and rehearsal rooms. The Class D amplifiers deliver 370W RMS and up to 123dB SPL. At the heart of the MIZAR system is a conveniently portable subwoofer with a built-in 8-channel powered mixer and Bluetooth®. The two satellite speakers can be securely stowed in the rear of the subwoofer for storage and transport. The MIZAR comes with 2 speaker cables, 2 speaker stands, a sturdy carry bag and a printed user manual. The MIZAR system can be set up quickly in various variations as a 1.1 or 2.1 system. Thanks to their contact rails the satellites can – for smaller applications – be connected directly (without cables) to the subwoofer. Alternatively, and using the adjustable sub pole, the satellites can also be mounted on the subwoofer at a height of 1.25 to 1.85m. This sub pole can simply be taken from one of the speaker stands. A stereo system (2.1) is realized either with two speaker stands (up to a height of 1.97m) or with one speaker stand, leaving one of the two satellites mounted on the subwoofer. Suggested sales price 299,00 euro. Komet is een relatief nieuw bedrijf uit Baton Rouge Louisiana, en produceert hoofdzakelijk “hand made boutique” gitaarversterkers. Met de Komet K.O.D.A. is het tijd voor een introductie van het merk Komet. Komet wordt niet alleen ontworpen, maar ook volledig geproduceerd in the USA. It Is not only has a super-cool retro design but is one of the rare dynamic vocal mics with a supercardiod pattern, thus offering a superb rejection. It’s ideal for live and studio use and was developed especially for vocals and speech. 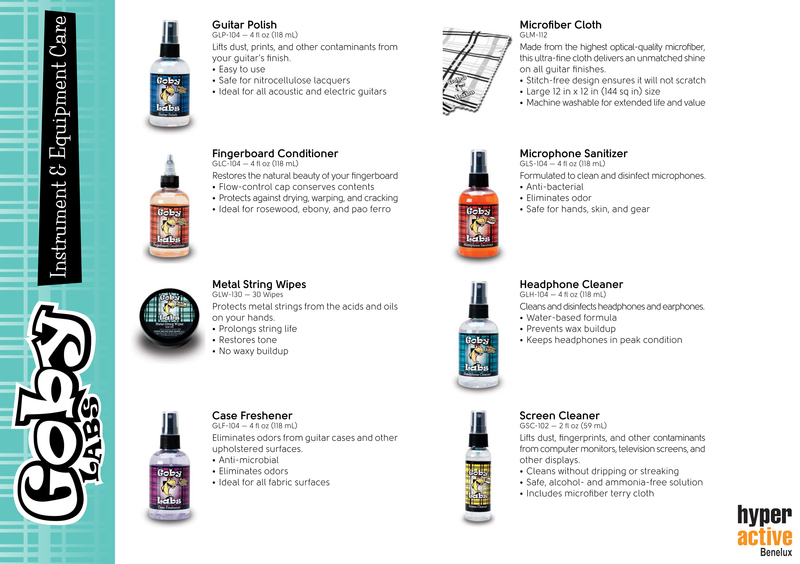 However, it’s also great for guitar amps, drums, percussion, saxophone, brass and harmonica. 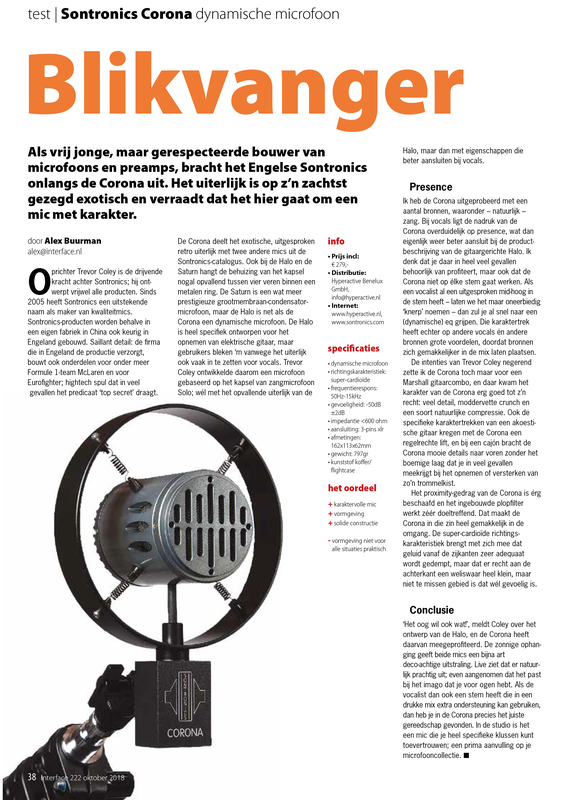 Hyperactive Benelux proudly announce the exclusive agreement to distribute Audix Microphones for The Netherlands. Audix is determined to push the limits of technology. From concept to completion, our on-site research and development team combine with an in-house manufacturing facility, enable us to proudly provide products designed at our Wilsonville, Oregon headquarters. Audix continues to evolve as we strive to provide you with products that exceed your expectations. We attribute our continued success to several factors: our devoted customers who provide us with invaluable product feedback; a talented research and development team whose goal is to produce state of the art products and a highly trained staff who want to help you get the most from your Audix equipment. Ingenuity and passion are alive and well at Audix – and we have every intention to keep it this way.